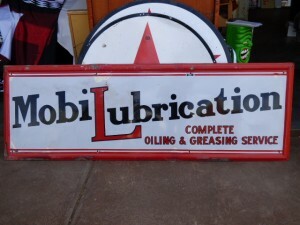 You are at:Home»Man Things»Cars 'N' Bikes»The garagenalia auction is back! 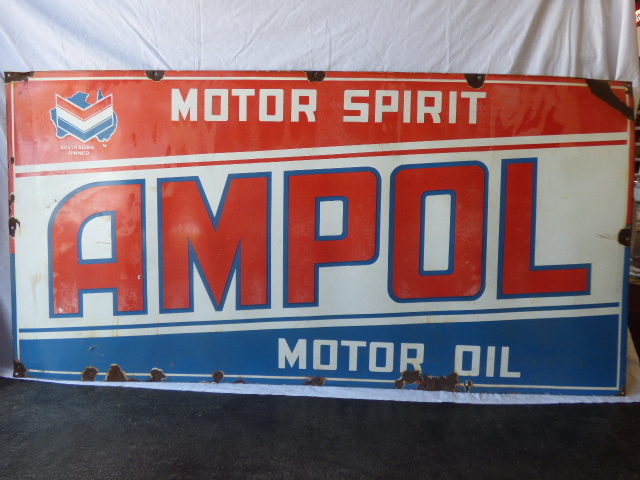 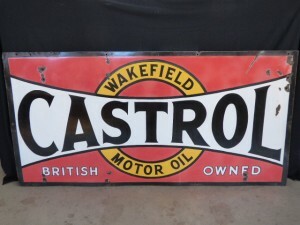 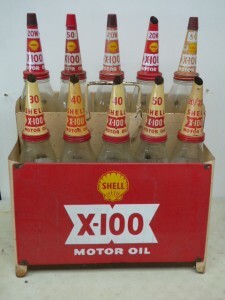 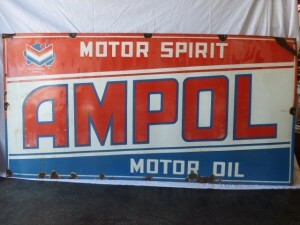 The garagenalia and petrol memorabilia auction is back! 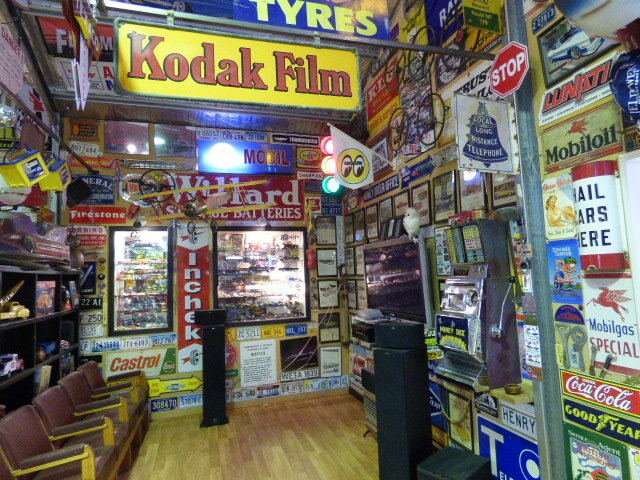 Having operated for the past 40 years, Armitage Auctions in Invermay, Tasmania, has been facilitating auctions for anything from your normal household contents to quality antique furniture and china etc., also special collectors items. On Saturday, 16 December 2017 Armitage is holding a special petrol memorabilia collectors auction and encourages collectors from all over the country to come and check it out. 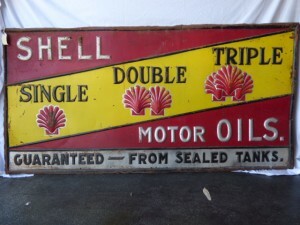 “This will be the fourth special petrol memorabilia/garagenalia auction we have held in the past two years, and is undoubtedly the best,” auctioneer Neil O’Brien says. 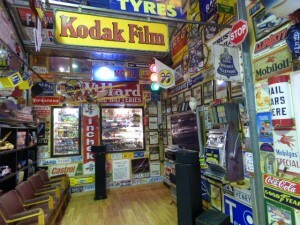 “We have possibly the best selection of enamel signs offered for public auction from one collector anywhere in Australia. 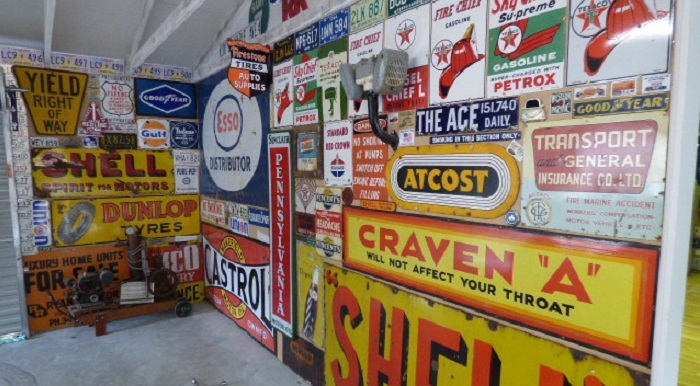 “All of the signs he collected, most of which are in very good original condition, are being sold. In addition to signs he has also collected cars, petrol bowsers, tins, old toys, bikes, peddle cars and loads of quirky interesting memorabilia which are also all being sold. 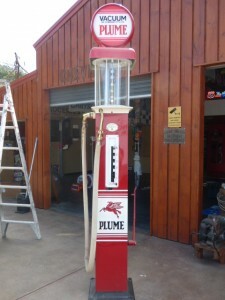 Armitage will hold a viewing of the items up for auction for a week-long lead-up to the event. 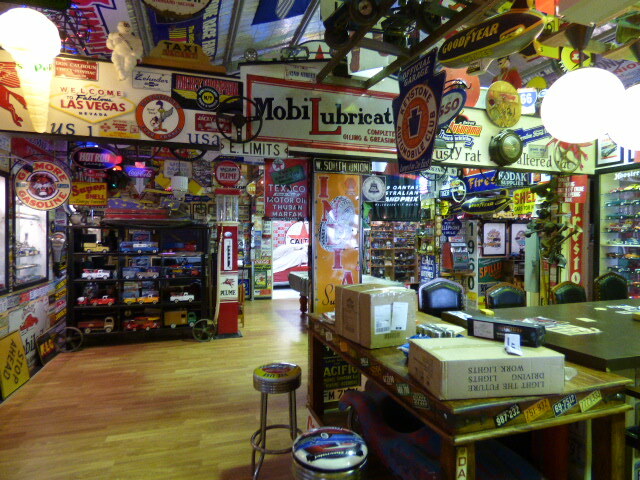 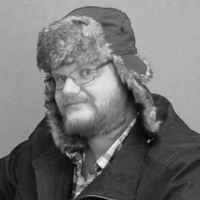 A gallery of items is available here.